Type of pool. There are three types of in-ground pools: vinyl, concrete, and fiberglass. In terms of installation, they may have similar costs, but the great difference depends on maintenance, decking, landscaping, and other backyard features. Size, depth, and location. Other factors that will affect the expenses you could incur in building a pool is the size and depth. Pool size will be priced per square foot. The larger the pool, the higher the cost will be. The depth affects the cost in a variety of ways. If it is not too deep, the base cost will be much cheaper than of those intended for diving. Customization and other features. The costs you might incur when adding additional features is indeterminable given that a customized pool depends on what you choose to add. This can often be the most expensive part of a luxury pool installation. Added factors include the shape, the style of deck, lightings, slides, rocks, garden, spas, diving board, waterfalls, etc. Permits and documentation. Last but not least, pool contractors will have to arrange for permits, taxes, and other realty requirements. They can also assist you with obtaining approval from your Home Own Association if needed. Maintenance. In terms of maintaining your pool, you might want to secure the services of people who can do the periodical cleaning and treating. If your luxury pool is not in use all year long, it might be sidelined during winter and cold months. Obviously, you have to clean it up before the swimming season begins. Additionally, the type and size of pool you choose will affect the cost of your pool’s maintenance and upkeep. As you can see, there are many factors that affect the potential cost of your pool, and it’s still possible to have a wonderful backyard experience with a private pool without breaking the bank. Even a basic pool will afford you relaxation, privacy, and refreshment. The average size of an inground pool is typically 32’ by 16’ and can range from $50,000.00 to $100,000.00, yet can actually be as low as $25,000. 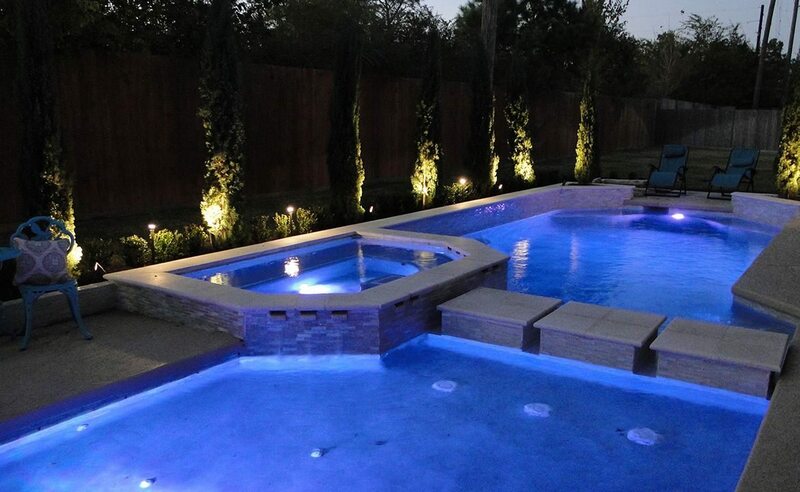 TLC Outdoor Living has a team of expert pool builders and contractors to help you walk through swimming pool design, planning, installation, and assessment. They are ready to answer any questions you may have. Ask now so you can enjoy your luxury swimming pool as soon as possible.